What are the secrets of Mystery schools that have never been revealed? How did mystery schools utilize time travel? Is it possible to learn or understand time travel in this reality? What is the secret to immortality? How were souls ‘imprinted’ onto bodies? Why were certain beings ‘captured’ Out of timelines? What are “remote viewers”? How to protect yourself from remote viewing. What is the zero point function of this reality? What is the meaning of this creation and our lives? What is the second purpose of this reality? Do mystery schools trade students? And if so how can you tell if you were traded? How did one ‘mystery school’ used ‘A simple Hug” as a technique to change the world and heal others – even removing life-threatening illnesses? What were the unwritten truths of history that the ‘victors’ left out? What is the “great betrayal” Of the mystery schools? How can we prepare for it? What did earth mother contract the mystery schools for? What does she hope to get from them now? 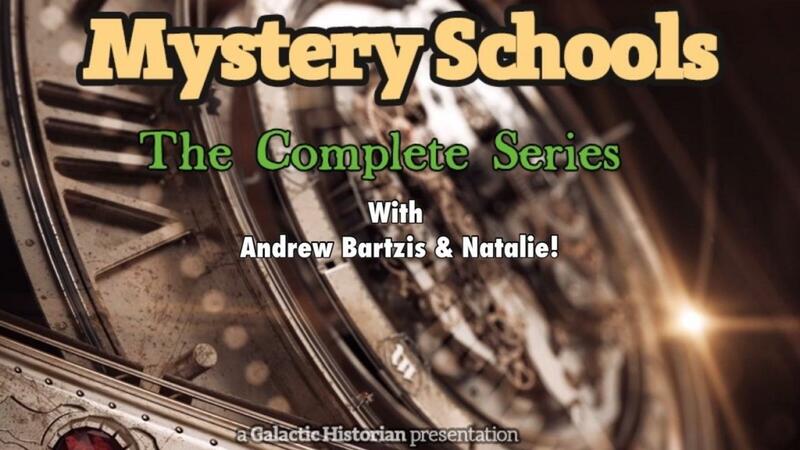 You have arrived to the Mystery School Series! Each eBook within this 3 part series is packed with lots and lots of valuable and great information! Follow along with Andrew & Natalie as they discuss a wide spectrum of information. They will be covering where, why, and how Mystery Schools came to us, what their purpose is, how Mystery Schools have been used for all times, the soul drafts of the Mystery Schools, the psychic telescopes, Genghis Khan, and so much more. You do not want to miss out on this and hope you enjoy.